which goblet to buy can be an intimidating experience. How do you know if you're buying something authentic, something made in Venice, something made in a traditional way? How do you gauge how much you should pay, and how do you know if you're being ripped off? How do you determine if you have fallen prey to one of the city's many tourist traps? Laura Morelli, an art historian and trusted guide in the world of cultural travel and authentic shopping, leads you to the best of the city's most traditional arts: Murano glass, carnival masks, gondolas, lace, paper, and more. This indispensable guide includes practical tips for locating the most authentic goods in one of the busiest tourist destinations in the world. Packed with useful information on pricing, quality, and value, and with a comprehensive resource guide, Laura Morelli's Authentic Arts: Venice is the perfect guide for anyone wanting to bring home the unique traditions of Venice. 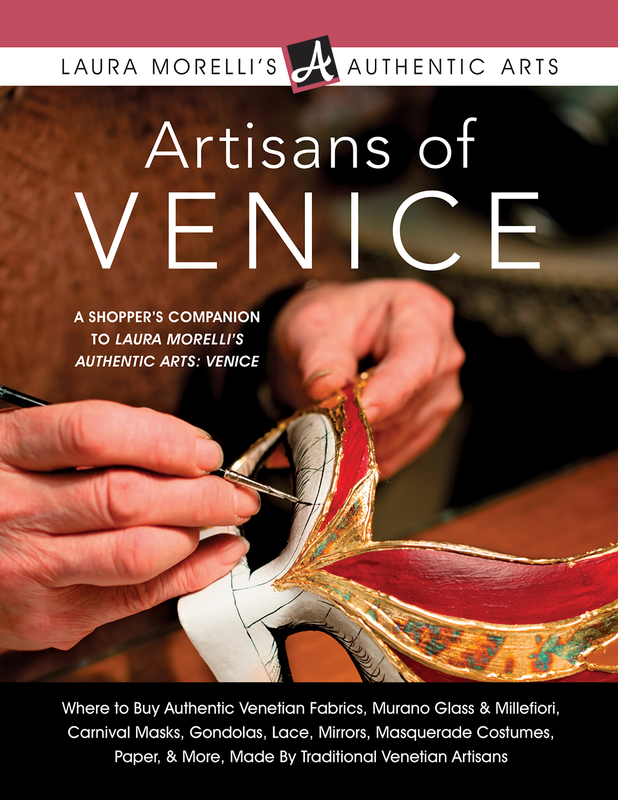 Artisans of Venice is the companion to Laura Morelli's Authentic Arts: Venice, A Travel Guide to Murano Glass, Carnival Masks, Gondolas, Lace, Paper, & More. Put both books together and you'll be the most knowledgeable traveler in Venice! Going to Venice? Don't buy anything in Venice until you read this book! Buyer Beware: Venice is full of tourist traps and mass-produced souvenirs passed off as authentic. Do you know how to tell the treasures from the trash? In Venice, it's not easy to tell the treasures from the trash. This is true now more than ever before, as increasing numbers of carnival masks, glass, and other souvenirs flood into Venice, imported from overseas and passed off as authentic. There is no substitute for an educated buyer. Laura Morelli helps you locate the city's most authentic artisans--those practicing centuries-old trades of mask making, glass blowing, wood turning, silk spinning, and other traditions. Wouldn't you rather support authentic Venetian master artisans than importers looking to turn a quick profit without any connection to Venice at all? Venice boasts some of the most accomplished master artisans in the world. Here's how you can find them. Laura Morelli leads you beyond the souvenir shops for an immersive cultural experience that you won't find in any other guidebook. 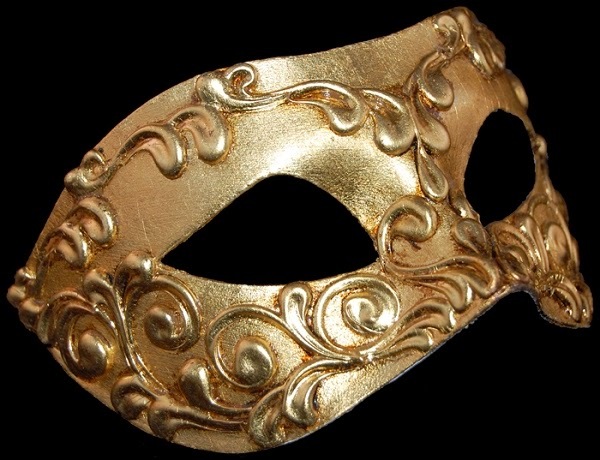 Artisans of Venice brings you inside the workshops of the most accomplished makers of Venetian fabrics, Murano glass and millefiori, carnival masks and masquerade costumes, gondolas, Burano lace, mirrors, marbleized paper, hand-carved frames, and other treasures. This book leads you to the multi-generational studios of some 75 authentic master artisans. If you're reading on your Kindle device, tablet, or smartphone, you can click directly on their street addresses for an interactive map, and link to their web sites and email addresses directly from the guide. A cross-referenced resource guide also offers listings by neighborhood. Laura Morelli, an art historian and trusted guide in the world of cultural travel and authentic shopping, leads you to the best of Venice's most traditional arts. 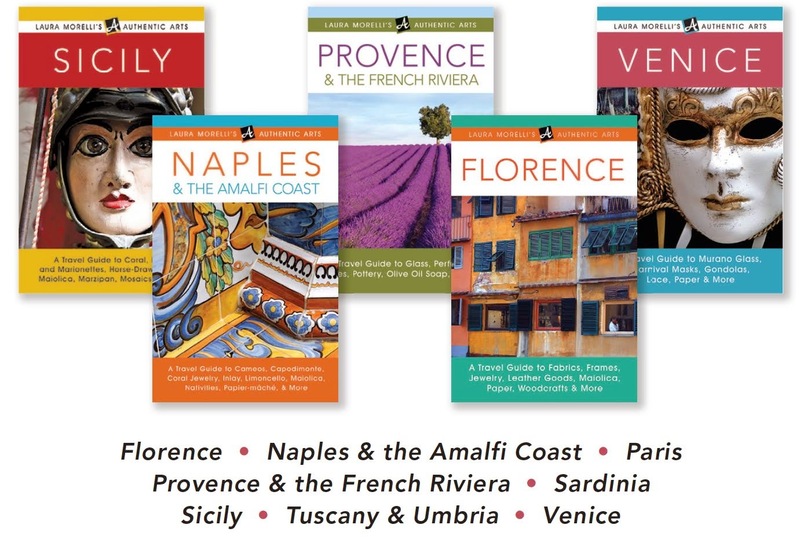 Laura Morelli's Authentic Arts series is the only travel guide series on the market that takes you beyond the museums and tourist traps to make you an educated buyer--maybe even a connoisseur--of Florentine leather, ceramics of the Amalfi Coast, Parisian hats, Venetian glass, the handmade quilts of Provence, and more treasures. Bring Laura Morelli's guides to Venice with you, and you'll be sure to come home with the best of Venice in your suitcase. Geographic Traveler called “The Genuine Article” and contributes pieces about authentic travel to national magazines and newspapers. Laura has been featured on CNN Radio, Travel Today with Peter Greenberg, The Frommers Travel Show, and in USA TODAY, Departures, House & Garden Magazine, Traditional Home, the Denver Post, Miami Herald, The Chicago Tribune, and other media. Recently her art history lesson, “What’s the difference between art and craft?” was produced and distributed by TED-Ed. Laura has taught college-level art history at Trinity College in Rome, as well as at Northeastern University, Merrimack College, St. Joseph College, and the College of Coastal Georgia. Laura has lived in five countries, including four years in Italy and four years in France. 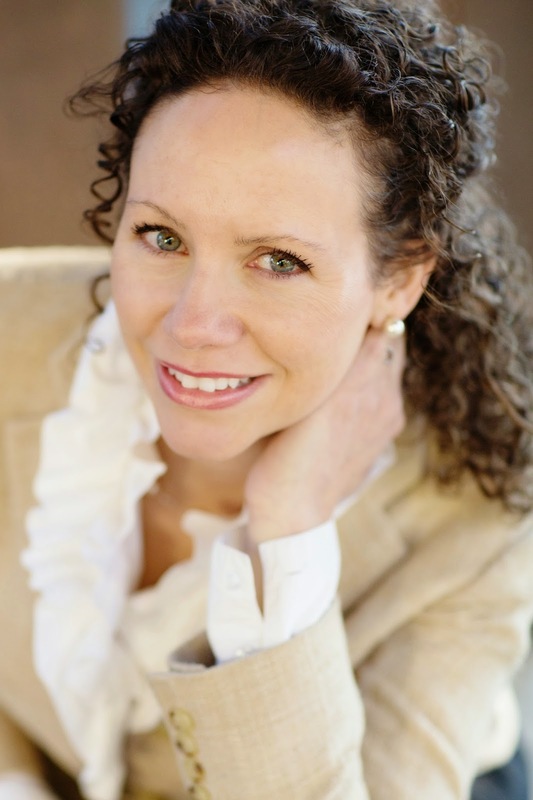 Laura Morelli is the author of the guidebook series that includes Made in Italy, Made in France, and Made in the Southwest, all published by Rizzoli / Universe. The Gondola Maker, a historical coming-of-age story about the heir to a gondola boatyard in 16th-century Venice, is her first work of fiction. 1. What made you want to write about the traditional arts of Venice? My Venice guides are part of a new series for travelers who want to bring home the best of Italy and France in their suitcases. Laura Morelli’s Authentic Arts is for those who seek immersive cultural experiences. I want to share my passion for the history and cultural context of everything from Limoges porcelain to Murano glass, taking you beyond the museums and souvenir shops. My Authentic Arts guides are designed to help you efficiently discern the treasures from the trash, and guide you to high-quality resources that will enhance your experience of traveling and shopping abroad. 2. You have an entire chapter devoted to Murano glass. What’s so special about it? Venetian glassmakers have been turning out beautifully colored glass vessels for many centuries. Since the 1200s, their production has centered on the island of Murano, a short boat ride from the Piazza San Marco. Until the sixteenth century, Murano glassmakers held a monopoly on European glassmaking, and their stunning creations brought them renown across the world. A few of the glassmaking enterprises on Murano have longstanding traditions and famous names, but there are other, lesser-known masters continuing the tradition of colored glass and engraved mirrors. 3. What should travelers know about shopping for Murano glass? In Venice, it’s not easy to tell the treasure from the trash. This is true now more than ever before, as increasing numbers of carnival masks, glass, and other souvenirs flood into Venice, imported from overseas and passed off as authentic. Recently an organization called Promovetro / Artistic Glass Murano has brought together glassmakers and others concerned about the influx of cheap replicas crowding the marketplace for Murano glass. They created a trademark that is officially recognized and legally protected. Participation in the group is voluntary, but many of the Murano glassmakers have joined and actively promote the trademark as a way to guarantee authenticity. Their Vetro Artistico® Murano trademark is usually applied as a sticker on individual glass pieces. 4. How do you shop for authentic arts in Venice? Venice boasts an impressive number of masters of wood, textiles, gold, bronze, leather, paper, stone, stucco, and mixed media. My goal is to make my guides useful to you as a traveler by hand-picking those artisans who follow traditional methods and styles that are most closely associated with Venetian history. 5. How did you narrow it down? 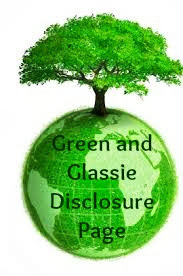 In selecting the artisans represented in the guides, I follow several criteria. First, their production must be done primarily by hand; in fact, most of the artisans I include rely exclusively on handmade techniques. Second, I focus on those individuals and enterprises whose work is part of a major, well-defined Venetian historical tradition, such as Murano glass, carnival masks, and wood gilding. These master artisans are important purveyors of Italy’s cultural patrimony. Lastly, I focus on those who sell their work directly to travelers, either from their workshops or from retail spaces they are affiliated with or operate themselves. I want you to experience the techniques, the people, and the spirit of Venetian craftsmanship firsthand! Venice sounds like the perfect place to celebrate my next anniversary. I'll be sure to enter the giveaway.